PDM University, Bahadurgarh, one of the leading universities of North India, has been conferred The Economic Times (ET) Best Education Brand 2018 award as a symbol of excellence in educating and skilling India’s future. The award was presented to Prof. (Dr.) A. K. Bakhshi, Vice-Chancellor of the PDM University, by Vinod Tawade, Minister of Education, Govt. of Maharashtra, at a glittering function held at Taj Vivanta in Mumbai on Saturday, March 24, 2018. The event also saw the unveiling and launch of the Coffee Table Book 2018 by the minister. He also thanked all the stakeholders – the management, staff, students and their parents, alumni and the faculty members for their unstinting support and cooperation in our academic journey for pursuit of excellence which has helped PDM University receive this national recognition and become the one of the most sought after centers of higher education in the country.  “At PDM, the aim of education has always been to encourage innovation and creativity amongst students and ensure their good employability. We are focusing to strengthen ties with the industry to provide windows that will allow students to make the best practical use of abilities they have developed at the university and improve overall placements. Congratulating all the stakeholders on this stupendous achievement of the university,” said Chitresh Lather, CEO, PDM University. “This award puts an additional responsibility on all of us to continue to do the good work we have been doing with much more vigor so that we are able to realise our vision of making PDM University a world-class university,” he added.